The New English Art Club (NEAC) was founded in 1886 in reaction to the conservative attitudes of the Royal Academy. The two dominant figures in the NEAC were Henry Tonks and Frederick Brown of the Slade Art School. Brown drew up the constitution, sat on all the committees and juries, and encouraged his Slade students to exhibit there. 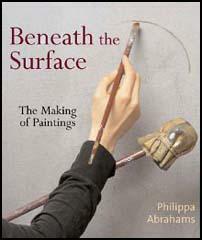 Around 50 members took part in the inaugural exhibition held at the Marlborough Gallery in April, 1886. Early exhibitors included George Clausen, John Singer Sargent, Colin Gill, Philip Wilson Steer, Walter Sickert and James Whistler. At that time it contained most of the best painters in Britain, however, younger artists were beginning to criticise the NEAC as too conservative. With the formation of the Allied Artists' Association in 1908, its significance declined.